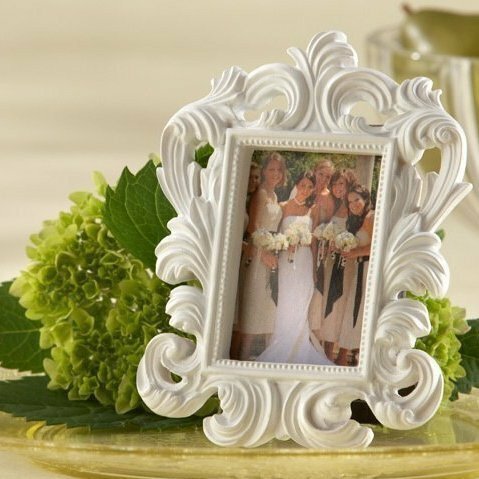 This classically elegant, glossy White Baroque Placecard Holder and Photo Frame is intricately designed in 17th-Century Italian Baroque style. Whatever it holds—a place card or your favorite photo, this captivating baroque frame will grace your tables with grandeur. Measures: Width 8.5 cm, Length 11 cm, Height 1.5 cm. Do contact us should you require them immediately!